Unfortunately George Marshall will not be calling our special November the 14th dance due to some health concerns. 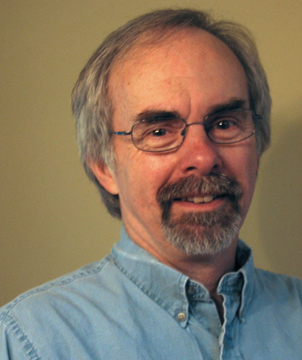 Instead we have a local favorite Marlin Prowell of Bellingham who will join us to call for this magnificent band. Vermont’s own traditional roots power trio, Pete’s Posse, is composed of acclaimed musician Pete Sutherland (fiddle, piano, banjo, melodica and vocals), his talented protégé Oliver Scanlon (fiddle, viola, mandolin, foot percussion and vocals) and the uber-dynamic Tristan Henderson (guitars, mandolin, jaw harp, foot percussion and vocals). Twin fiddles in tight, wild harmony over high-powered guitar and pounding footwork with mandolin, clawhammer banjo, jawharp and rocking keyboards adding their voices to the mix. Songs and tunes, old and new, lyrical and driving: that’s the multi-generational heart and mind of PETE’S POSSE, at work and at play. 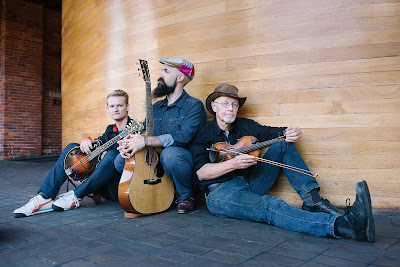 Pete's Posse is three generations of musicians who have come together to create their own electrifying sound they call "multi-generational roots music." 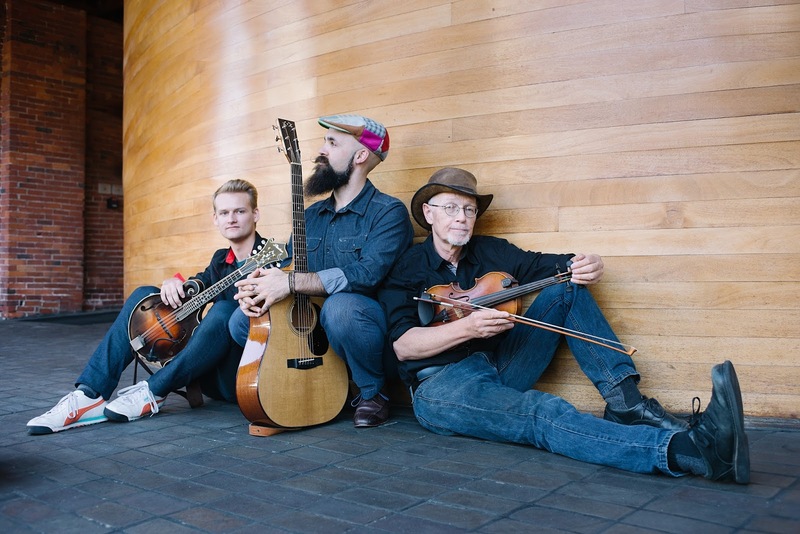 In 2013 Pete and Oliver building on a long-time mentor/mentee partnership, asked Tristan to join them to play a contradance, and a match was struck! Gig by gig their chemistry grew and the Posse quickly developed a reputation for being innovative, driving, sought-after, can't-keep-your-feet-still power trio. Join us at 6:30 to learn how to contra, then full tilt boogie goes all the way till 10:00pm check our contact page to get the address for Black Diamond Community Grange.